I motored through NYC on the East River with the current, reaching 9 knots at times. Here is my track with the green line. 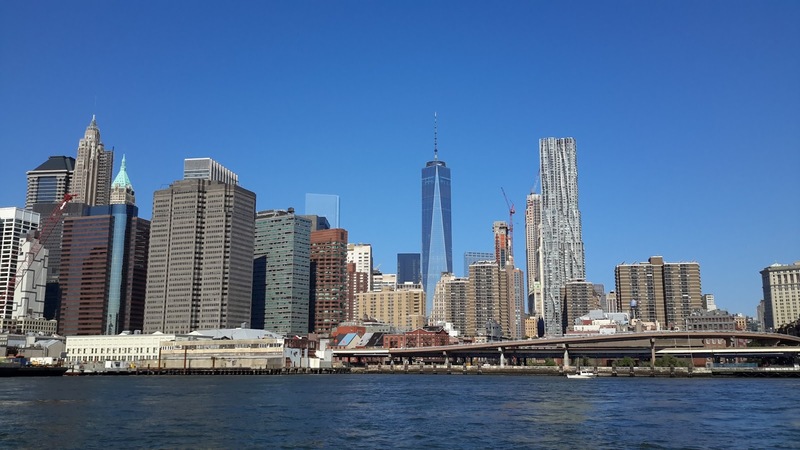 It was exciting being so close to downtown Manhattan. 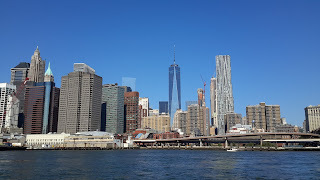 Right now I am anchored behind the Statue of Liberty and am looking forward to seeing the nighttime view of Manhattan especially the new Freedom Tower. Tomorrow I am headed down to North Carolina, and depending on the track of the storm Erika, will either go around Cape Hatteras or into the Chesapeake and down the ditch. I am hoping that this storm will dissappear over the next few days.